Before I wrap it up for the night, I wanted to mention a couple shout outs my cards received recently. 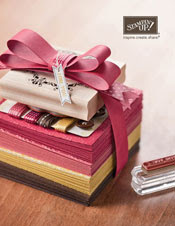 First, my mojo for baby card was a "fab fave" over at Fab Friday! 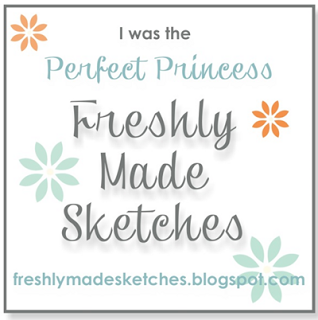 And my ocean scene card was selected as a "perfect princess" over at Freshly Made Sketches!! 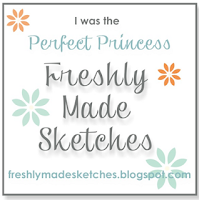 Thanks for stopping by today and I really do appreciate everyone who takes the time to look at my blog!